What Are The Best Items To Pawn With A Pawnbroker? With various famous hit television shows coming to light about pawning, the industry has obtained a point of interest in recent years. You may wish to borrow a small amount of money by pledging a luxury asset to a pawnbroker in London. But, before you head out to turn your precious asset temporarily back into cash, you should have an insight into the four fundamental skills of a pawnbroker that set them apart. Rolex watches retain their value well, and their demand does not seem to falter. These branded timepieces are a regular sight in any pawn shop. 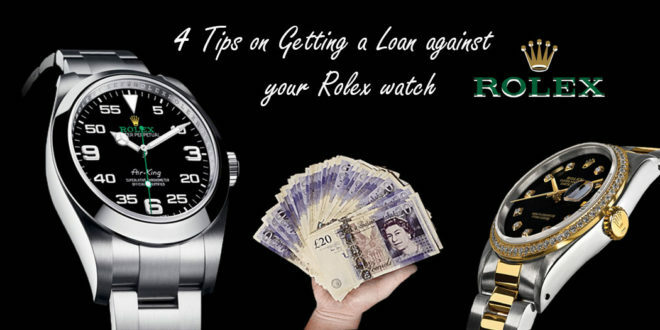 Getting a loan against your Rolex watch is a good option if you are short of cash. As with any other collateral loan at a pawn shop, you can pawn your Rolex watch and raise fast money while still having the right to reclaim your luxury watch after the loan term expires or whenever you want. If you are planning for a beautiful tour around the world, do not let your expenditures hold you back. A holiday can help to eliminate the stress of your regular hectic life. However, when you set out for a world tour planning, you may find that you are short of cash. But, you do not have to decrease the time duration or cancel it for now. Use your gold jewellery and get an instant gold loan with no hassles. You may decide to pawn your jewellery for any reason. But the primary cause is that you want to raise fast money for something that is very important. You visit a reputable pawnshop near London and apply for a loan against jewellery. The pawnbrokers will estimate the value of your item and decide on the loan amount they are willing to offer.